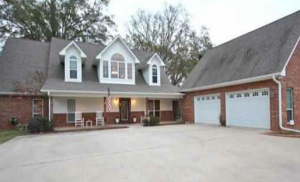 The Big Oak Bay neighborhood in Tyler, Texas has much to offer the would be real estate buyer. Homes that have such amenities as granite surfaces, brick fireplaces, and plenty of acreage will leave the real estate connoisseur pleasantly surprised. The homes usually range in price from around a hundred thousand in price to well over five hundred thousand and more. Truly, the Big Oak neighborhood of Tyler has something to offer everyone who is in the real estate market. Besides the great real estate the amenities in this neighborhood are truly abundant. There are several nearby lakes that are literally humongous. Lake Tyler, Lake Arp, Lake Tyler East and Lake Arp East all allow for a great deal of water sports, including boating activities, skiing, picnic pursuits, and fishing. Moreover, these lakes offer a decent amount of hiking, biking, and jogging trails as well. During the fall months this neck of the woods also has opportunities to take in some grand high school athletics programs courtesy of the Chapel Hill High School Bulldogs football team. They have had several players go on to play in the college ranks and their program has been top notch for many years. Several local businesses cater to the lakes around the area and sell different equipment for skiing, bass fishing, and other sports. The Headache Springs Natural Park also caters to the outdoor enthusiast with many hiking and mountain biking trails to choose from. As you can see, this area has much to offer the outdoor enthusiast. But what about the real estate? Read on to find a sampling of what kinds of prices many of the homes sell for. There are many affordable options in this area and many homes that are meant for those of higher class taste as well. The eclectic listings include a property at just over $110,000 on the lower end and properties listing at $500,000 and $600,000 or above on the other end of the spectrum as well. These homes have such fabulous amenities as granite counter tops, homes with four bedrooms or more, and humongous detached garages as well. One listing is quite affordable at just above $115,000 with four bedrooms and a five car garage as well. Homes on the higher end of the spectrum have offers such as 3,000 square feet or above, offering much legroom for the established client. The higher-end homes also have such great offerings as central heating, rock or stone exteriors, and even homes that have private ponds. The Big Oak Bay area truly has something for everyone to consider, and if you are looking into relocating to this area you will not be disappointed at all!